Why you must visit and explore Hawa Mahal in Jaipur? I am sure many of you have seen umpteen pictures of the iconic Hawa Mahal in Jaipur. I have posted a few pictures of Hawa Mahal in my posts as well since it is synonymous with Jaipur. Hawa Mahal is inspired and shaped like the crown of Lord Krishna. A large number of tourists only get to see the facade of the Hawa Mahal which is facing the road. And why is it so? The reasons for it are plenty. Firstly, the tour companies cram as many places in the itinerary during a short span of time to create more “value”. They are able to add this “illusion” with a customary 5-minute halt outside the Hawa Mahal. This allows tourists to click few pictures of this iconic building, on way to Amer Fort. That’s it! Visitors are wrongly informed that there is hardly anything to see inside the building. Secondly, with many things to see and experience in Jaipur, it’s natural for some “compromise” which results in few visitors exploring the Hawa Mahal fully from inside. Thirdly, the visitor doesn’t have a piece of complete information. They stick to the popular itineraries listed on the internet. Most of these “standard” itineraries never suggest exploring Hawa Mahal. Exploring Hawa Mahal complex allows you to enjoy the great views of the surroundings including City Palace, Sirehdyodi bazaar and Johari Bazaar. I’ll be dedicating a full post on Hawa Mahal, soon. Overlooking at street and market – Sirehdyodi Bazaar. Hawa Mahal, Jaipur. But for now, here are few pictures from the top floor of Hawa Mahal. It allows you to see things from a different perspective. Here is a picture which overlooks the other side of Hawa Mahal -towards City Palace. I feel Hawa Mahal is a very interesting structure. It is one of its kind in the entire world. While it may not interest everyone, heritage, history, art and architecture enthusiasts should not miss on exploring Hawa Mahal complex. Wow that’s great to know, as I have always seen Hawa Mahal from the front. We too were there on 26th of this January and found it really beautiful !! I so completely agree that there is so much more to see inside the Hawa Mahal than just the exterior. I was personally mesmerized by the interiors, its five different levels, the lovely jharokas, view of the Nahargarh from there….SIGH! I can go again and again and find something new. You said it well, Ami! There’s so much to see inside the Hawa Mahal.I’m sure Jaipur will pull you back for another trip. Try monsoon season next time, for a change! Wow! Have passed it so many times, visited it twice but never saw it as Lord Krishna’s crown till you mentioned it. Totally agree with you, that there is just so much to see behind the iconic building. This is so true, most tourist companies try to skip Hawa Mahal. We were lucky enough to visit it completely. The views from the top are one of a kind. I’m happy that you explored Hawa Mahal. Certainly, view from the top are superb! I guess you still have not chronicled this travel on your blog, yet! Great. Will look forward to it. I truly wasn’t aware that tourist guides actually give less importance to this incredible structure. Because I remember being fascinated by the windows and all the shadows they created (that’s what I recall seeing from my then 13 year old eyes, I may be wrong) in the palace. There were so many small windows that I lost count. It’s a beautiful structure, just like you say and people should explore it more. Well there are some practices which are not ethical. tourist trade is also guilty of few, with strong cartels that are meant to misguide and fleece tourists. Did you also visit inside the Hawa Mahal? Well the popular story is that Hawa Mahal enabled the royal ladies to see the processions and other religious function which passed through the city street. Difficult to imagine now, but 60-70 years ago, women spent their life in veil, so this allowed them to see things without walking out of the royal abode. But there are many other versions. I’ll be posting all about it very soon, Pradita. Will keep you updated, whenever I do! Happy to know you have visited Hawa Mahal. Since you don’t remember anything about that trip, time for a refresher? you’re referring to the iconic Rajmandir! In this age of multiplexes, it’s something else as you rightly pointed out. It is still around and being maintained the ☺same way. Such an inspiring and motivating post! I would love to visit Jaipur soon! 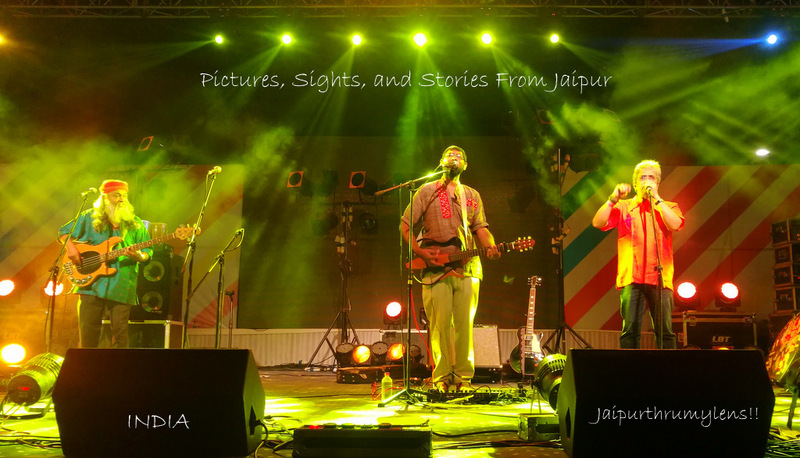 Pingback: Exploring Hawa Mahal in Jaipur/ Iconic Tourist Attraction of Pink City in Pictures – Jaipur Thru My Lens ! !